The True Adventures of Raoul Walsh tells the story of one of the unsung heroes of classic Hollywood. Raoul Walsh’s life and times are as compelling as the movies he made, from his youth in New York City – where his parents regularly entertained dinner guests Edwin Booth (brother of John Wilkes Booth), Buffalo Bill, Frederick Remin gton and Teddy Roosevelt – to his apprenticeship as an assistant director to D.W. Griffith, where, for instance, Walsh himself convinced the Mexican revolutionary Pancho Villa that his life (and the execution of his enemies) should be made into a movie. Walsh was an imposing figure in Hollywood, contributing movies that were as energetic as his own lifestyle. He loved to recount how he stood up to mobster Bugsy Siegel’s attempt to bribe him, how he was a committed drinking buddy of Humphrey Bogart and Errol Flynn, and an upstanding figure in the Hollywood Irish mafia that included Jimmy Cagney and Pat O’Brien and a host of Irish directors and actors. The details of Walsh’s amazing life shape up into a fascinating story that he himself would have liked to direct. Adventurous and iconoclastic, Walsh gave Hollywood some of its greatest action-adventure yarns. His life and movies are the stuff that dreams are made of, with a career spanning over half a century, from the era of one- and two-reel silents to the tumultuous 1960s, from such classic gangster films as White Heat and The Roaring Twenties, action-adventures as They Died With Their Boots On and Objective Burma!, to Westerns, romances and Civil War epics. Walsh directed the first American gangster epic, Regeneration, in 1915 and in 1930 changed Marion Morrison’s name to John Wayne and put him in his first Western, The Big Trail. Walsh directed Gloria Swanson in the classic silent Sadie Thompson and out grossed Cecil B. DeMille’s epic Carmen by putting Theda Bara in his own spectacular version. He gave Hollywood its first silent mega-hits before he put the light and magic into Douglas Fairbanks’ swashbuckling 1924 The Thief of Bagdad. Walsh moved easily from silents to talkies. Working at Warner Bros. beginning in 1939, he made history. He pitted Cagney against Bogart in the classic The Roaring Twenties before he took Bogey up the California mountains in High Sierra and sent Cagney to the “top of the world” in the gangster classic White Heat. One of Hollywood’s great “tough guy” directors alongside John Ford, Howard Hawks and John Huston, Walsh’s one hundred and forty films created a classic cinema of adventure, romance and American hard knocks both vigorous and tenderhearted. His films moved to the rhythm of bullets and came at audiences with style and energy. 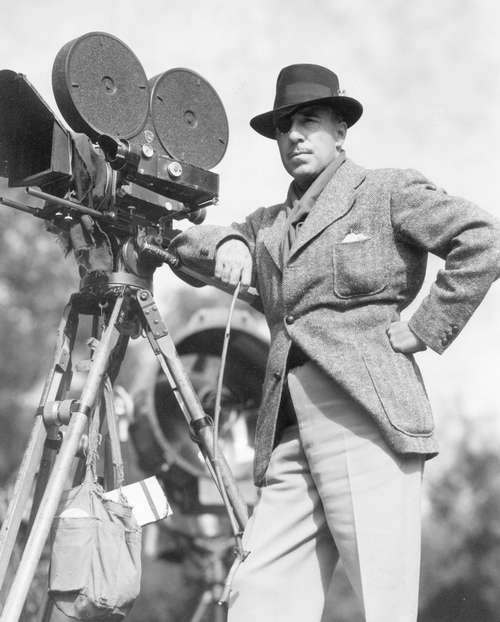 The True Adventures of Raoul Walsh is based on Marilyn Ann Moss’s biography of Walsh, Raoul Walsh: The True Adventures of Hollywood’s Legendary Director, and has the approval of the Raoul Walsh Estate.